Job security is always a factor when choosing an allied health career. So, if you’re scrutinizing your future career options taking this into consideration, you’re on the right path. The good, no, great news is that health professions are rich in opportunity and have vast growth potential right now. To help you start your research, we’ve dug deep to discover the twelve most promising career paths in medicine today. They pay well, they’re in high demand, and most of all, they can help you succeed in life as a caring medical professional. All the raw data below comes from the Bureau of Labor Statistics. Physical therapists work with wounded patients and people with medical conditions that are physically debilitating. These workers assist their patients in the rehabilitation process. There are many perks to this path including the ability to find part-time as well as full-time work within a variety of work settings. Educational requirements: Master’s degree or a Doctor of Physical Therapy. 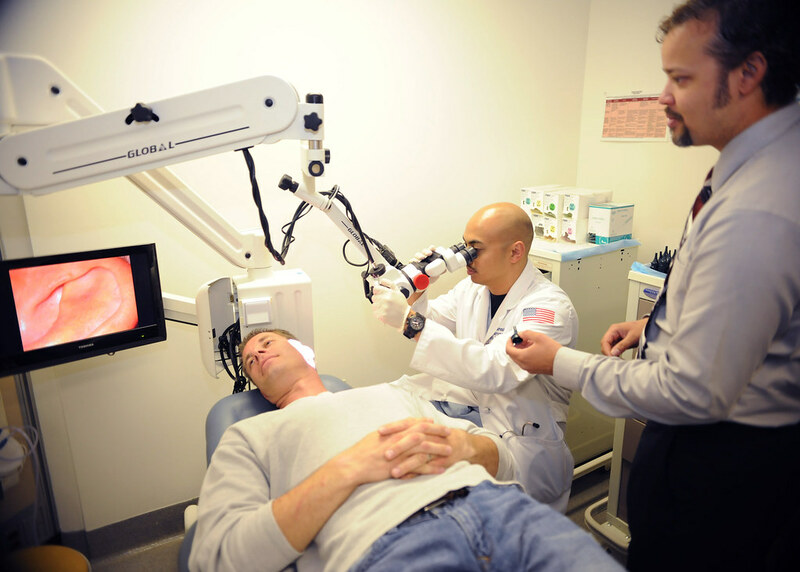 Audiologists assess patients for hearing loss, ear troubles and balance issues as well as fit and distribute hearing aids. Educational requirements: A Doctor of Audiology degree and a state-issued license. Dental hygienists perform tooth care, provide patient education, and evaluate for disease of the oral cavity. Exact duties vary by state, due to state-specific laws. Benefits include the availability of part and full-time positions, and in many cases, you’ll get relatively short hours and holidays off. Educational requirements: An associate degree in dental hygiene, but individual state requirements vary. 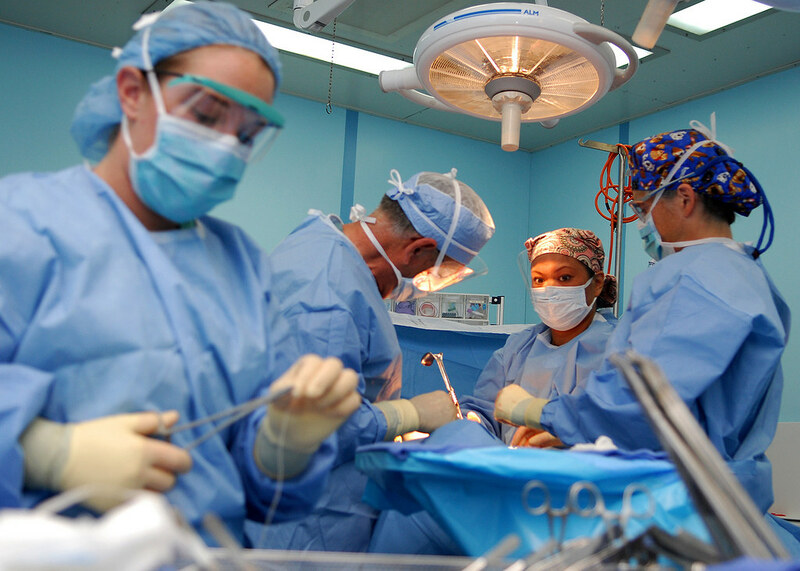 Surgical technologists work primarily in operating rooms. Responsibilities include readying operating rooms for surgery, sterilizing equipment, preparing patients for surgery, and assisting surgeons by supplying equipment. Educational requirements: There are a variety of programs available from diploma and certificate programs of various lengths to an associate degree. State regulations regarding surgical techs may vary. Most employers require certification through NBSTSA (Certified Surgical Technologist) or NCCT (Tech in Surgery – Certified). Medical laboratory technicians complete tests and procedures ordered by healthcare professions, including evaluating body fluids using high-tech medical equipment like cell counters. Educational requirements: An associate degree or bachelor’s degree in clinical laboratory science is typically required. Some states may also require a certificate or license as well. Certifications are available through the American Society of Clinical Pathology (ASCP) or the American Association of Bioanalysts (AAB). Cardiovascular sonographers record patient history, maintain equipment, carry out diagnostic imaging, and evaluate these images. Educational requirements: Certificate or an associate degree in cardiac sonography and vascular technology. Some states and/or employers may require certification through Cardiovascular Credentialing International (CCI) or the American Registry for Diagnostic Medical Sonographers (ARDMS). Medical assistants take down patients’ medical history, measure and record vital signs, give injections and assist doctors as required. Medical assistant training includes learning medical terminology. Educational requirements: Requirements may differ by state, but typically a certificate or associate degree is needed to work in the field. Certification is available through various organizations including the American Association of Medical Assistants (AAMA), American Medical Technologists (AMT), and National Healthcareer Association (NHA). MRI technologists follow orders given by doctors regarding what diagnostic tests to perform. They also maintain and adjust MRI equipment, record medical histories and maintain medical records. Job opportunities exist primarily in hospitals and diagnostic imaging centers. Educational requirements: A certificate in MRI Technology or an associate or bachelor’s degree in radiography and MRI. Certification through the American Registry of Magnetic Resonance Imaging Technologists (ARMRIT) or The American Registry of Radiologic Technologists (ARRT) is usually required. Licensing and certification requirements vary by state. Opticians work with customers to help them choose eyeglass frames and lenses, measure their PD and fitting height, and receive eyeglass prescriptions. They also adjust glasses, repair broken frames, and educate patrons regarding the different types of eye wear. Opticians work with ophthalmology laboratories and maintain sales information. Educational requirements: High school diploma and on the job training, with optional 1-year certificate programs and 2–year associate degree programs. Dieticians survey clients’ health and advise them regarding foods they should eat and avoid for their health conditions. They also educate patients about healthy eating habits and develop meal plans they can follow. Educational requirements: A bachelor’s degree in clinical nutrition, dietetics, foods and nutrition, or related area of study. Most states also require a license. Medical technologists carry out tests and procedures ordered by healthcare personnel, but the lab tests and procedures tend to be more complicated than the ones medical technicians perform. They also have a tendency to specialize and work in places like blood banks and microbiology labs. Educational requirements: An associate degree or bachelor’s degree in medical technology or a related science is typically required. Graduate degrees are often needed to advance in this career. Some states may also require a license or certification. Certifications are available through ASCP or AAB. Exercise physiologists create exercise and wellness programs for individuals with chronic disease or improve the health of body systems such as the cardiovascular system. This field is very flexible in terms of working hours, and work locations vary from health/sports medicine clinics to hospitals. Some people even work in corporate wellness programs. Educational requirements: A bachelor’s degree in exercise physiology, though a master’s degree is helpful. There is a board certified exam through the American Society of Exercise Physiologists (ASEP), though it may not be required. If you need help picking the right allied health career and taking the first step toward attaining it, healthcare training and career guidance are just around the corner. Check out AIMS Education’s healthcare training programs and talk to one of our career counselors today. To be a Medical Technologist/Medical Laboratory Scientist, you must have a minimum of a Bachelor’s degree. Please correct this information. You are correct in that a medical technologist seeking certification through ASCP requires a minimum of a Bachelor’s degree. However, certification through the American Association of Bioanalysts (AAB) as a medical technologist can be achieved through a number of pathways including some that do not require a bachelor’s degree. i am so disappointed in how inaccurate the information in this article is regarding medical technologists and medical technicians. I am a medical technologist and I have a bachelor’s degree in clinical laboratory science. To be certified as a medical technologist by the ASCP you must have a bachelor’s degree. A medical technician has an associate’s degree. There is no certificate for this profession. Just wanted to clear that up. You are correct in that a medical technologist seeking certification through ASCP requires a minimum of a Bachelor’s degree. However, certification through the American Association of Bioanalysts (AAB) as a medical technologist or medical laboratory technician can be achieved through a number of pathways including one that does not require a college degree. You have #5 and #11 wrong for educational requirements. Technician requires an associates degree and technologist requires a bachelors degree. There is also certification by ASCP and licensure required in same states. Your stated education requirements for Medical Laboratory Technician (MLT) and Medical Technologist (MT) are inaccurate. In order to apply for an MLT certification and license, technicians are required to have an associates degree (or equivalent semester hours) and complete a NAACLS accredited MLT program including clinical rotations – or 3 years of lab experience. Technologists, or more appropriately called today, Medical Laboratory Scientists (MLS), are required to have a baccalaureate degree along with completion of a NAACLS accredited MLS program with clinical rotations – or 5 years of lab experience to apply for certification and licensure. Lab techs are often overlooked and under-appreciated despite the critical role we play in the treatment, prevention and diagnosis of diseases. Articles like this which minimize the steps and training we’ve gone through to obtain our positions don’t help us get the recognition or attention we deserve. you may want to consult the certifying & licencing organisations to get a clearer underatanding of the education & experience requirements for clinical laboratory professionals. ASCP.org Board of Certification (BOC). #5 and #11 are backwards. Possibly due to jobs that are posted. It would be easier to acquire an MLT than an MT so that’s what’s posted. But there is a Marked demand for MT’s. Medical laboratory technicians and technologists are the same thing (#5,#11) and the salary for #11 is closer to accurate. A medical Laboratory technician is a distinct and separate career from a medical technologist. A medical laboratory technician can get certified as MLT(AAB) or MLT(ASCP), and a medical technologist can earn MT(AAB) certification as well as certification through ASCP. Most certifications are offered in various disciplines (e.g. Immunology, Embryology, Hematology, Microbiology, etc.). You cannot be a medical technologist with just an associates degree. Medical laboratory technicians can have only an associates degree. You are correct in that a medical technologist seeking certification through ASCP requires a minimum of a Bachelor’s degree. However, certification through the American Association of Bioanalysts (AAB) as a medical technologist can be achieved through a number of pathways including one that requires eligible candidates to have an associate degree. Interested in changing careers as I am a Catholic School teacher. I am ready for a career where I don’t have a lot of work to do during times when I don’t get paid. The debate about #5 and #11 are only true for ASCP Board of Certification. The replies that mentioned AAB certification are correct and their are routes to certification as a MT that do not require a Bachelors degree. However many employers require a Medical Technologist – or in today’s terminology a Medical Laboratory Scientist – to have both certification – ASCP, AMT and sometime AAB – PLUS a Bachelors degree.